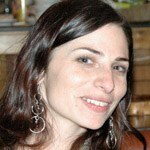 Nora Barrows-Friedman is a journalist, staff editor at The Electronic Intifada and the author of In Our Power: US Students Organize for Justice in Palestine. She has also contributed to Al-Jazeera English, Inter Press Service, Truthout.org, Left Turn magazine, and various other international media outlets. From 2003-2010, she was the Senior Producer and co-host of Flashpoints, an award-winning investigative newsmagazine operating out of KPFA/Pacifica Radio in Berkeley, California. Nora has been regularly reporting from Palestine since 2004. A full author’s bio can be found here. To contact Nora, please use the form below.